The Resonants present an exciting program of home-grown choral music. The choir wanted to both showcase some of Canberra's established composers and give new composers a rare opportunity to have their pieces performed for the first time. The program comprises diverse works by Caleb Campbell, Jenna Cave, Ben Cooper, Kirsten Duncan, Veronika Ferfolja, Sally Greenaway, Kenneth Lampl, Stephen Leek, Jon Nielsen, Louise Underwood, Sally Whitwell and Thea Zimpel. 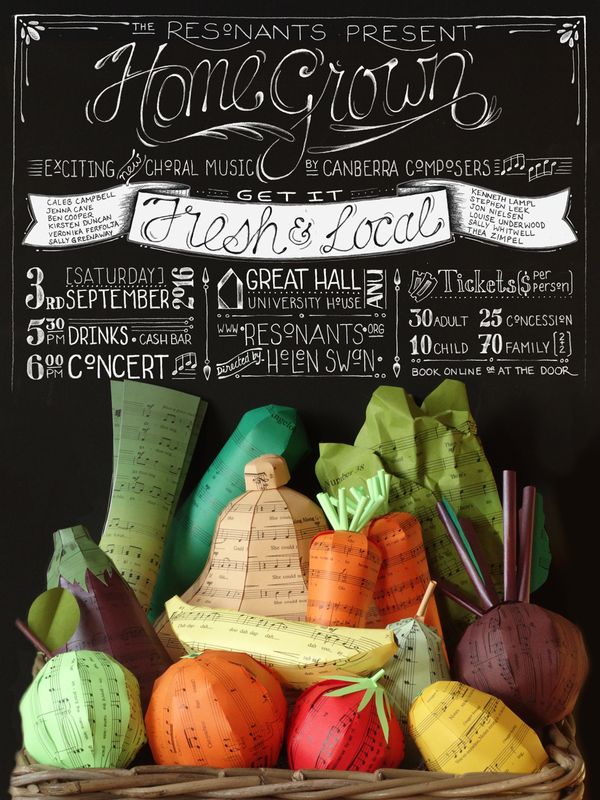 Come along and support musical talent in Canberra! Book online to secure your place, or tickets will be available at the door unless the event sells out.